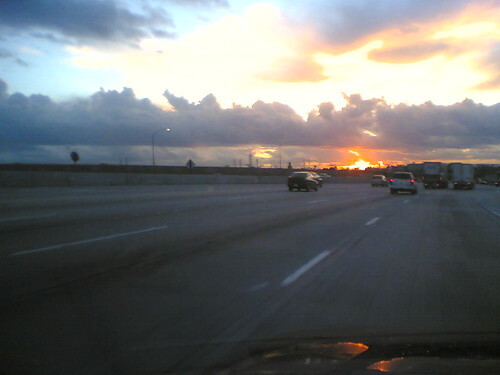 Posted January 11th, 2005 by Ms. Jen & filed under photos + text from the road. 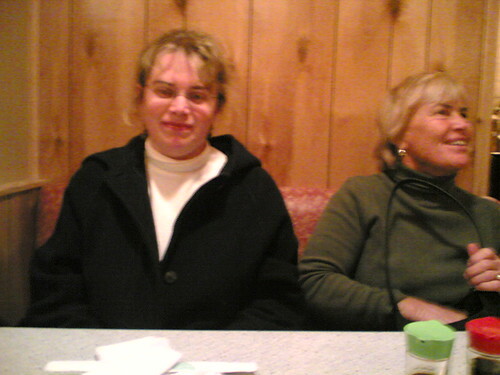 Tues 01.11.05 – Mom & Allison at dinner. Posted January 8th, 2005 by Ms. Jen & filed under art + photography. 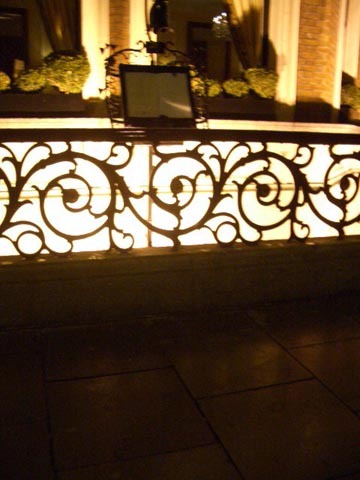 The grill work in front of a hotel in Dublin – Nov. 27, 2004. Posted January 4th, 2005 by Ms. Jen & filed under photos + text from the road. 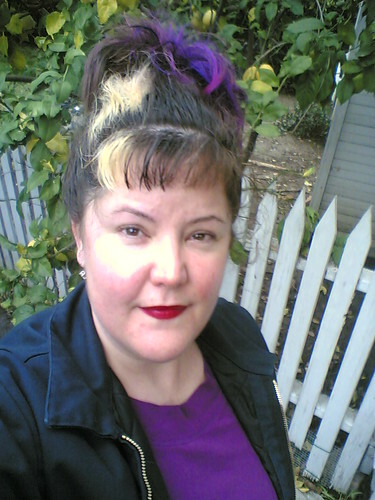 Posted January 3rd, 2005 by Ms. Jen & filed under tech + web dev. We can’t all be rocket scienticists or biomedical engineers or …. In the era of ultra specializations one may not have a paper Ph.D in an arcane subject, but most of us have a specialty in some form of technology that our neighbor or sister would be completely lost at. My sister can work the VCR. My brother can replace my timing belt. My best friend can mix any type of audio. My dad can program his Sirius satelite radio to get any frequency any where. I can work a computer. But for the life of me, I can’t figure out a VCR or TV. My brother’s new roommate asked me to show her how to turn on the TV tonight, and I was LOST. Lost, really lost. I looked at 5 black console boxes and 3 remotes as if they just arrived Fed-Ex from Jupiter. Yikes! My best friend who can mix eight channels of sound in the outback for Survivor calls me to ask computer questions. My brother asks me how to do this or that on the computer, which I gladly trade for cheap car repairs on the weekend when he is home from his executive office job. What it boils down to is… not only can’t you please all the people all the time, but you can’t figure out all the gadgets all the time. I freely admit that I can’t work a VCR or DVD (unless it is the one on my computer). I love my computer and my new Nokia, but other than that, I am a luddite. Jay, the Programming Wizard, had a hard time figuring out new TVs. This made me feel sympathy with Jay and I commented that he should forget the TV and watch his DVDs on his monitor. More importantly, a wide variety of Jay’s readers came through with a great deal of technical and consumer knowledge to help Jay find a new TV. This is good. We can’t all know everything and our communities can help us find the info, be it our immediate friends or online. Learn what you love and share what you can. Posted January 2nd, 2005 by Ms. Jen & filed under ideas + opinions. I am overly faithful to a fault. All too true. I have been attending the same church for over a decade and the same denomination for 18 years. I am burnt out. Posted January 2nd, 2005 by Ms. Jen & filed under fun stuff. Here I am, this afternoon, working on the New Wave Prom photos – rotating, levels, fitting into the template, etc. I go to print out my name / photo number rubric to keep track of over 100 photos when the printer seizes. I reach down and try to pull out the jammed, ruffled piece of paper when a raisin and piece of string cheese come flying out of the printer at me. What? Scruffy has taken to hiding his food lately. I thought I had rounded up all the stray hidden pieces of cheese, but it did not occur to me to look in the paper feeder of the HP 810c. Little rat. Posted January 2nd, 2005 by Ms. Jen & filed under photos + text from the road. 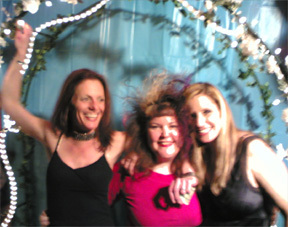 I ratted and sprayed my hair into the stratosphere for New Wave New Year’s Eve. Two days later, it has not relaxed enough to brush it out, so since early Sat. morning I have had it piled ala Marge, sans change jar, on top of my head. Posted January 1st, 2005 by Ms. Jen & filed under news + events. The last few months of my life have been extra beyond busy, as many of you who are hoping for me to return a phone call or email can attest. When I do get the time in the car to return a call, it is usually brief and somewhat discombobulated. 2003 sucked dog. ‘Nuff said. 2004 was the good year that I had been hoping for for several years in a row. Good in this instance equalled too busy for my own good, but at least I was not 6 weeks behind as I was in 2003, but instead 1 week ahead. Good enough to pull off a trip to Ireland and SXSW and Bowling. I have no expectations for 2005. None, really. I am too burnt out. Really. I hope it is good, but I think I need a nap. I hope that blessings come my way and to others, but can I just veg on the couch for a bit? I have spent the last 8 months working from 10am to 1am trying to catch up to the expense of my friendships and personal life. I would like to now sleep for a month and after Groundhog’s Day I promise to return the 9 months of backed up emails and phone calls.